I have been also busy adding some designs that have a more simple feel, yet still have a certain style to them. 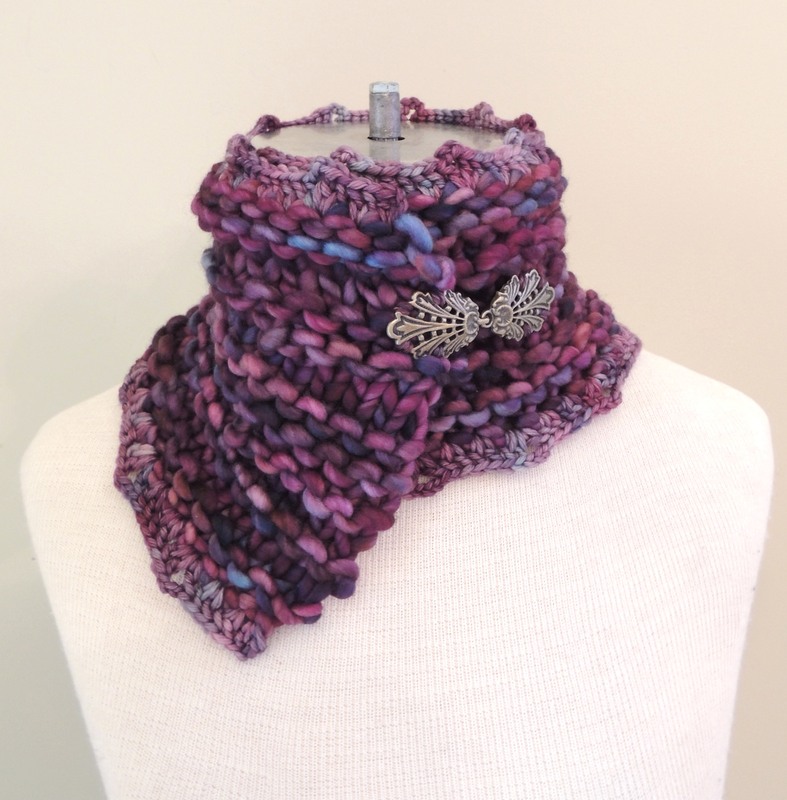 Here are two of my other recent designs with chunky and bulky yarns from Malabrigo Yarns. www.malabrigoyarn.com Both of these yarns are super soft and wonderful to work with. 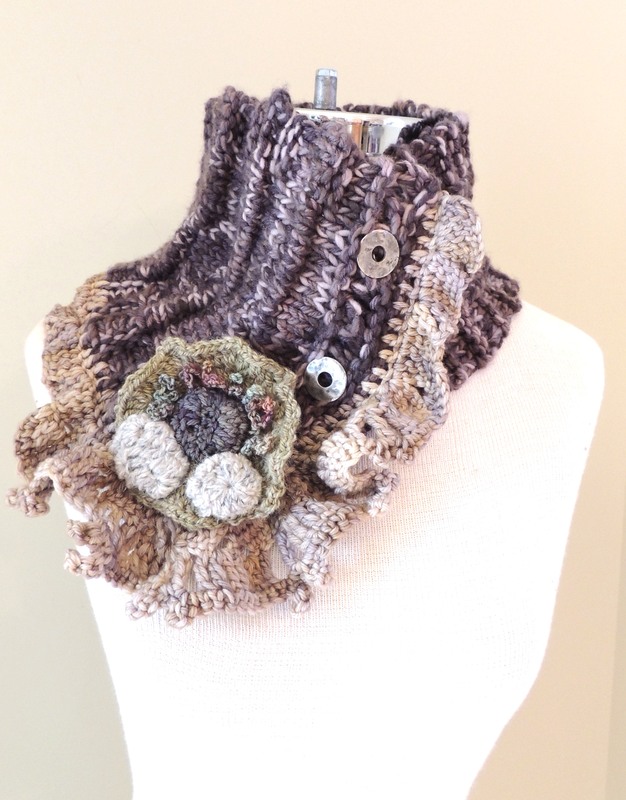 The Anna Collar Scarf has an eclectic yet traditional feel to the design. 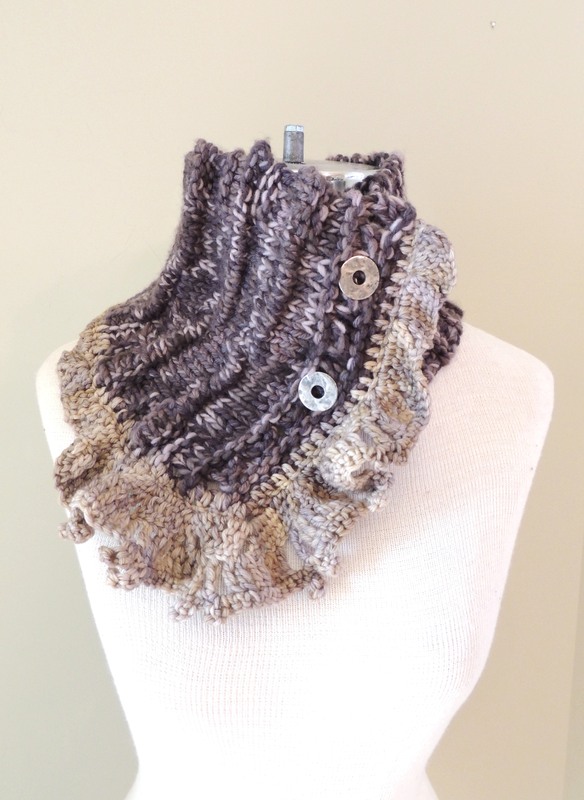 This one is done in the Mecha yarn by Malabrigo Yarns. The next one below is the Lauren Scarf. 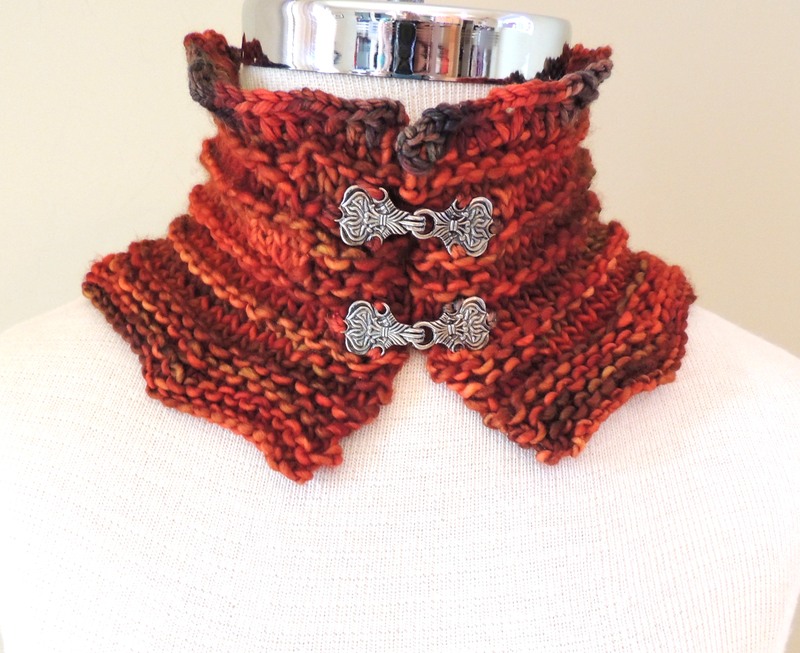 This one too has a similar feel, but is different and has an asymmetrical base that can be worn to the side or center of your neck to keep you warm where your coat opens. Links to these scarves and more information is below. The Rose Onie Collar scarf has two more colours available. One with a Black background and one in purple. Take a look here.